Raise your hand if you could use an extra $100 about now? Maybe to finish that Christmas shopping list? Or to plan a Christmas party? Or to pay that unexpected bill that just showed up? Or to pass it along to that person you know is in need? Ok, well here’s an easy chance to be $100 richer this Christmas. 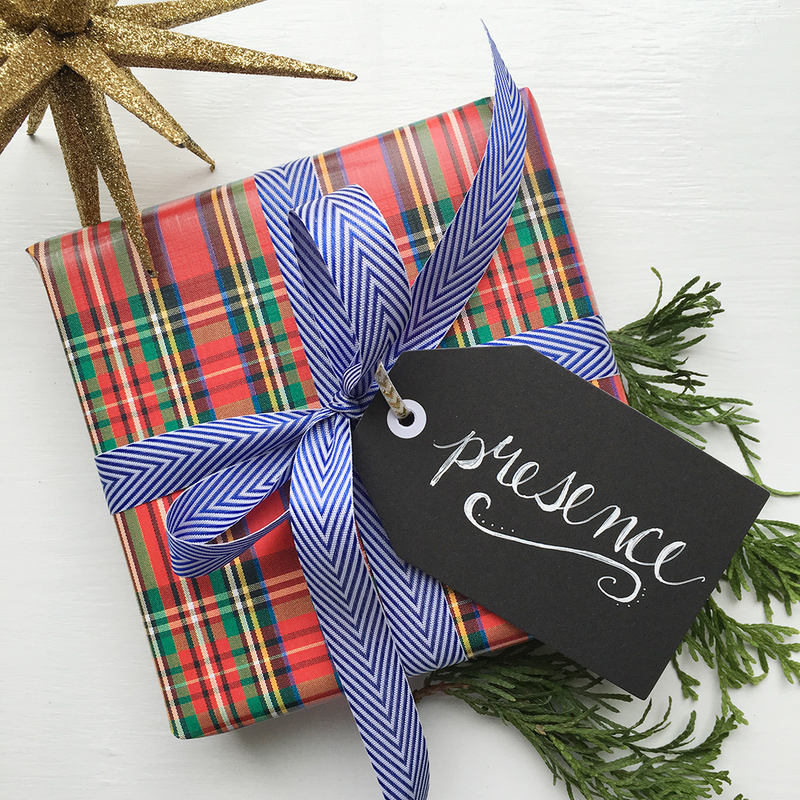 It’s my Gift of Presence Challenge. It has come about because of the experiences I’ve had this year, and the awareness it has afforded me. This Christmas is very different for us since it’s our first one without my dad. It’s his best one yet, but it’s kinda tough for us. But the benefit I’ve gained is that I now have an understanding of what so many others have experienced by losing loved ones. There is no way to explain loss, so I’m not going to try. When someone close to you dies, they cannot be replaced with anything on this earth. But, knowing someone cares, having someone to listen, and someone to spend time with is a very meaningful gift. Many friends and family have helped my mom, my family, and myself by just being present to care. So many of youhave sent me messages and said you’re praying for usand that means somuch to me! So here is the challenge: think of someone (or many people) in your life who has lost a loved one, whether recently or a while ago. Then, think of a way to include them in your holiday celebrations this year. Maybe you could invite them for a meal, load up the family to sing Christmas carols on their front step, bring them along for a special Christmas event, or take them for a day of Christmas shopping! You decide how you’ll give your gift of presence. Then take the time to listen to that person. Find out how they’re doing, let them enjoy the company of friends. I can hardly believe it, but that’s me now. That’s my mom and my brother and sister. It’s some of my closest friends. That’s that friend or neighbor you know as well. Let’s put our faith inaction this Christmas and always. Who will accept the challenge? This giveaway is for U.S. addressesandwill end on Friday the 18th at 9 am EST so I can get this gift card out ASAP! Winner will be announced on Facebook and Instagram so watch for it there! This entry was posted in Uncategorized and tagged Christmas, Faith, Giveaway. Bookmark the permalink. Follow any comments here with the RSS feed for this post. Post a comment or leave a trackback: Trackback URL. Accepted! You are always so inspiring! What a great reminder for us during this season that can get so hectic and crazy. I can't wait to get started! Most definitely accept this challenge. I've shared on my twitter.